Jessye has been into water sports her whole life. During the summer, she feels at home on the lake or at the beach, enjoying her passions in slalom skiing, wakeboarding, wakeskating, and bare footing. During the winter she loves getting into snowball fights and spending her weekends up on the mountain, snowboarding. She also enjoys running, working out, rock climbing, and her new found hobby... backpacking. Jessye's favorite food is fruit. She is constantly eating it and finds she can never get enough. Chinese food is a close second, with pasta an all around excellent choice as well. This year she is attending school at Upper Columbia Academy near Spokane, WA. Her favorite subjects in school are English and Health. Her goal in life is to become a pediatric intensive care nurse. She loves children and fits the job perfectly. Jessye's love and obsession with animals will likely lead to her helping at animal shelters or veterinarian clinics. Jessye says ROF has taught her so much. She has learned about and experienced other religions, cultures, and lived the life of a New Yorker for a week. She really enjoys the friendships that form in ROF. She finds the bonding that takes place among the members while on tour is remarkable. 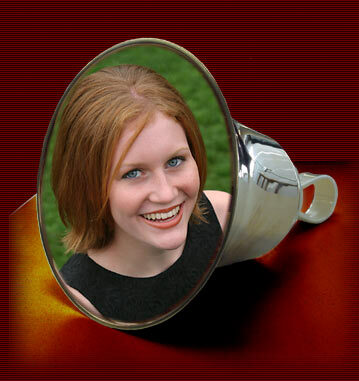 She has treasured the opportunities to play at big churches, to go on tours to cities such as Chicago, Florida, Kansas City, Texas, New York... and to bless people with handbell music and seeing it benefit the listeners. ROF has opened a whole new world... life is so much more fun now!